Vanish a live animal- your spectators see it right up to the last moment! 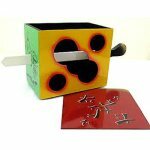 The Flipover Vanish Box is a long time favorite here at MagicTricks.com. This newest version is designed to hold EVEN MORE of a load. Try it with a spring animal puppet like Tricky Fox or a huge bunch of silks! An incredibly easy and deceptive way to vanish a live animal (or anything that will fit into the box), with no assistant needed! The FlipOver Vanish Box shows up well at a distance, and has a wonderful "now you see it, now you don't" feature. Simply place a small rabbit, dove, guinea pig or ferret into the box. 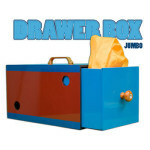 Let the box gently flip over, letting the sides swing open wide- the animal has vanished! 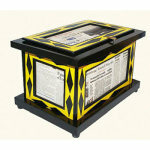 Safe for the animal, this quality prop is made specifically with the comfort and safety of your animal in mind. 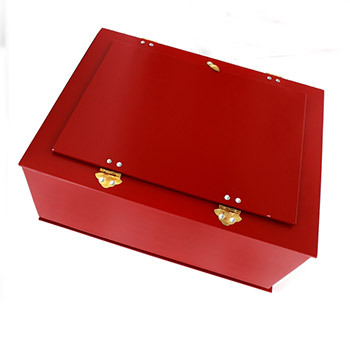 Best of all, the Flipover Vanish Box keeps the animal confined and secure after the vanish, allowing you to continue with your routine without worry about the animal. 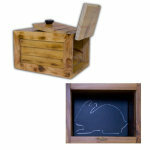 Comes with beautifully made brightly painted wooden box and printed instructions. Box is 13"x8.5"x5". You supply the item to vanish.